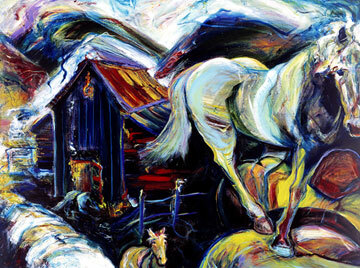 ERA Landmark is pleased to announce that expressionist painter Jacqueline Rieder Hud will be featured at ERA’s downtown Bozeman office during the June 2014 Art Walk. ERA Landmark Real Estate Broker/Owner Robyn Erlenbush and Broker Ray Atteberry attended the National Association of REALTORS (NAR) Realtor Convention and Expo held in Washington DC May 12-17. This annual event is where NAR members take an active role to advance the real estate industry, public policy, and the association. Robyn Erlenbush, Broker/Owner of ERA Landmark Real Estate is pleased to announce that sales associate Vicki Kebschull has joined ERA Landmark Real Estate.